I maintain a website, www . bastonblitz . org, that has recently experienced problems. Clicking on any of the navigation bar links results in a screen-sized pop-up (see attached example) appearing behind the selected page and triggers a small window in the lower-right of the screen which says "Norton has prevented a Web Attack Maicious Redirection 37'. I have received confirmation from my host that the web files uploaded to them are free from virus infection. I have also run a Norton scan on all of the web files on my pc, result negative. However, independent visitors to my website have complained of similar experiences which are deterring them from returning to the site. Can anyone please offer any advice as to how this problem can be solved? Thanks for the links bjm_, but registration and rating with Norton's Safeweb is likely to take a couple of weeks and I was hoping for a more immediate fix. Is there an application available that is capable of detecting and removing the infection? maybe, try > How to report false positives. Um, what does Norton history report for Web Attack Malicious Redirection 37 event? I will submit this to the Safe Web Team. Many thanks floplot, I appreciate your kind assistance. I just came around to see how your situation was coming along. I can see that the Safe Web Team has not showed up yet. We have to wait now until Sunday night after midnight EDT If they don't show up on Sunday night, then I will try to contact them again. That's the description of that redirect. Thanks floplot. However, any idea what I need to do next to eradicate the infection from the website? Both Norton 360 and my ISP's SafeNet scans of the webpages fails to detect any threat. Do you have ads on your site that are controlled by an ad service? Those are often the source of malicious redirects. Hi peterweb, thanks for taking an interest in this issue. No, there are no ads on the site. Curious, what does "MalwarePopUp" pic with opening post represent. Clicking on any of the navigation bar links results in a screen-sized pop-up (see attached example) appearing behind the selected page and triggers a small window in the lower-right of the screen which says "Norton has prevented a Web Attack Maicious Redirection 37'. Apologies all, I misunderstood peterweb's question. I thought he was asking whether my website hosted ads. 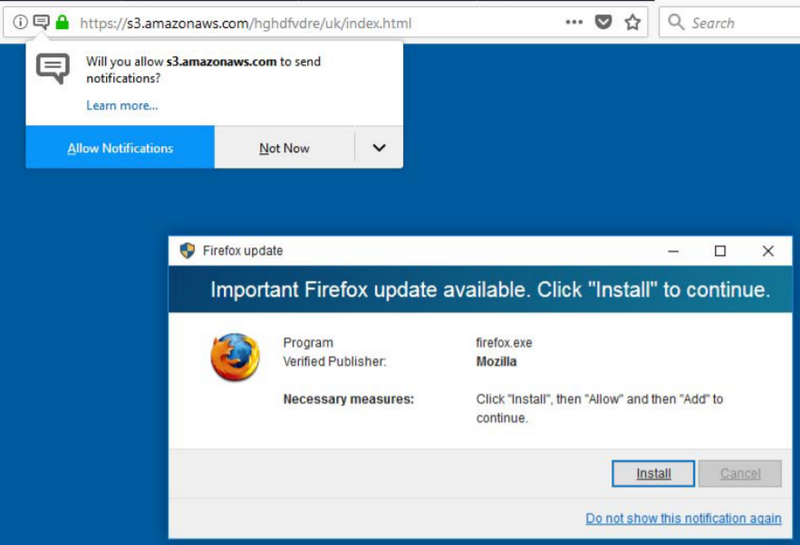 Until recently the malicious pop-ups were for online casino sites, but lately it's just been the false Mozilla pop-up which I didn't class as an ad. The question is what is the source of these popups? That is what you have to determine. I have received confirmation from my host that the web files uploaded to them are free from virus infection. I have also run a Norton scan on all of the web files on my pc, result negative. Redirects are not necessarily a virus. And your checking the files on your computer is not the same as checking the files on the web service's server. You need to check the code on the web server to see where the affected links are pointing to. Maybe someone hacked the site to change the links. Thank you peterweb, I will check the code of the web files as you suggest. FWIW, NoScript extension shows me scripts from allfreecounter.com on that site. Thank you Krusty13. I will investigate. and with allfreecounter.com allowed.... freecounterstat.com is blocked. maybe, @floplot can help get bastonblitz.org tested. I see you've added meta tag. I will get the Safe Web Team evaluate bastonblitz.org since I saw the Meta Tag. It is showing as not evaluated now. Please stay tuned to this thread for a response from the Safe Web Team later tonight after midnight EDT. That is later on Sunday night after midnight. Thank you floplot. I have removed the offending script from the webpage code and everything appears to be working fine now. The Safe Web Team should be appearing in a couple of nights. Sometimes, it does take them longer than the 1 day. Your site 'bastonblitz.org' has been submitted for analysis and it is currently rated green in safeweb.norton.com. Many thanks Cops, I appreciate this. Thanks also to all in the Norton community who have helped to solve this problem. Glad to see your issue has been solved successfully. Can you please pick out the post which solved the issue for you and mark that post as the Solution? You can do this by clicking on Mark As Solution located on the bottom of each post. Apologies for neglecting to mark the post that solved the problem - I've now rectified that.